ABSOLUTELY THE BEST TUTORING IN Studio City… AND WE’LL PROVE IT! Make sure your academic or SAT tutor in Studio City is fantastic, personal and works well with your child! Don’t take a chance and pay up front. Instead, take advantage of one FREE hour of tutoring in Studio City, no strings attached! We tutor in all levels, K-12 of Math, English, History, Science, and much more. Are you looking for Tutoring in Los Angeles or Tutoring in Studio City? If so, you've come to the right place. 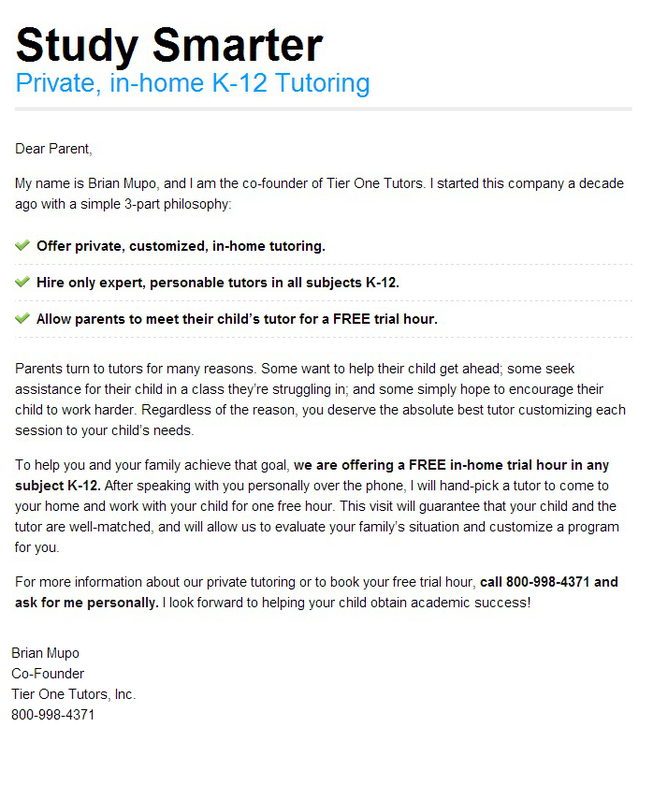 Tier One Tutors is a Studio City tutoring company specializing in all subjects, K-12, as well as AP and SAT Prep. Please Note: Free hour of tutoring does not include SAT Prep. For information on SAT Tutoring in Studio City, please check out our Los Angeles SAT Tutoring Information Page. Studio City is a high-income low-density residential neighborhood in Los Angeles within the San Fernando Valley, which is known for the number of celebrities that frequent the area or make it their residence. Its name is taken from the CBS Studio Center and the many film productions that happen in the area. Studio City lies within the San Fernando Valley, and it is flanked on the north by Valley Village, to the west along Ventura Boulevard by Sherman Oaks, to the east by Toluca Lake and Universal City, and to the south by Hollywood Hills West. The land Studio City occupies was once part of Rancho San Fernando. It was eventually owned J. B. Lankershim and eight other developers who organized the Lankershim Ranch. The area stopped being viable for farming in 1899 until the construction Los Angeles aqueduct in 1908 revitalized its real estate value. The existing area of Studio City was plotted from portions of the town of Lankershim (which would later become North Hollywood) and the town of Laurelwood. In 1927, Mark Sennet built the CBS Studio Center on the property and the area around the studio was named Studio City. It has a high income average for its residents but low population density for Los Angeles. It has 37,201 people by 2008 estimate, and a median age of 38. Apart from the CBS Studio Center, Studio City also contains several lots that served as the setting for movies and popular TV shows. The Big Brother house and the exterior of the original Brady Bunch house can be found here. It has several parks, the largest among them being Studio City Recreation Center, which is also known as Beeman Park. Fryman Canyon Park in the south provides hiking and cliffside views over Mulholland Drive. Within its borders are six private and five public schools, most notably Harvard-Westlake.